Honda NSX – Review. Is the new Honda hybrid a technical tour-de-force? Hybrid. When associated with anything automotive, I’ll readily admit it’s not a word that has me instantly springing out of bed – and especially so on a Friday morning if an over two-hour drive North West is necessary thereafter. Nevertheless, a couple weeks ago I found myself doing just that. Needless to say then, said hybrid in question wasn’t a Toyota Pious (Freudian slip intended) or some other such petrol-powered plug-in that comes with the promise of intergalactic on-paper mpg, and yet in reality struggles to better that of a diesel Golf. In certain circumstances the combination of both electric power and that derived from the good old-fashioned internal combustion engine can prove most beneficial; fun in fact. And especially so if they’ve been brought together by a company well-known for its engineering expertise. McLaren for instance, their P1 is simply astonishing. And then there’s this. The reason for my early alarm call was Honda’s new NSX. Anything that takes its name from the phrase New Supercar eXperimental is worth getting-up early for in my book. The NSX is Honda’s (or in the US, Accura’s) flagship, a super-car shaped technical tour-de-force. And it’s something I’ve been trying to get my hands on for ages. So, off to Deganwy it was. It just so happened that the good people of Honda had also brought along an original 1990 NSX for us motoring writers to sample too. So, after a quick re-familiarisation with the car that ex-McLaren designer Gordon Murray proclaimed a game-changer – he used it to benchmark his legendary three-seater F1, surely the gamechanger of gamechangers – it was time to see if the wait had been worthwhile. Like the original, what strikes you most about the new NSX is just how almost-everyday it feels once you’re aboard. On the outside, of course, it’s pure poster car; all sharp creases, air scoops and muscular mid-engined haunches. And yet once aboard you can see out it in almost all directions, the doors open normally rather than towards the sky or up and over the roof, and everything falls nicely to hand. The switchgear is all instantly recognisable, the driving position doesn’t require the skills of either a contortionist beforehand or a chiropractor afterwards to enjoy to the full, the seats are comfy, and you can pootle around town in this near £145,000 wedge as easily as you can in your great aunt’s Civic. It’s an automatic, albeit a 9 speed one, the steering although weighty doesn’t weigh a tonne, and even the ride is quite forgiving for something the wears near steam-roller wide rubber. And yet you can instantly feel that you’re in something special – not least from the looks you get from other drivers – and once free of the town limits the NSX comes into its own. Thanks to three electric motors working seamlessly together with the mid-mounted V6 there’s torque in abundance. When you press the accelerator, you never sense that you’re waiting for the engine to wake up before something’s going to happen: it just does. Regardless of which gear you’re in the NSX simply pulls and pulls – and especially so should you choose either Sport + or Track mode. 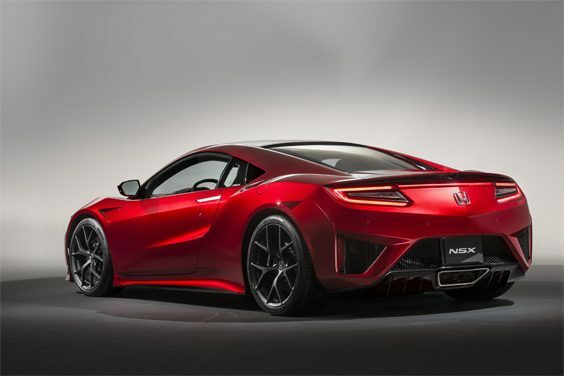 The steering is direct and precise, and the NSX’s wide front track and independent torque-vectoring, in part thanks to those front-mounted electric motors, prevent any nasty or unnecessary understeer. You can feel that this is a heavy car – the burden surely of any hybrid – but despite its 1.8 tonne kerb weight the NSX remains very agile in feel. And let’s face it, although no longer headline stuff, 0-62 in 3.3-seconds is swift in anyone’s book. If you’re going to be picky, you could say that Honda’s 3.5-litre six-pot isn’t the most symphonic of engines – it’s more industrial hoover than it is high-pitched wailer – and that the NSX’s interior is very much that of the work of Honda than it is high fashion. And then, of course, there’s also the price: The NSX is £144,425. You can buy many a supercar with a far more exotic or desirable badge for less, (albeit maybe not a hybrid one). Nevertheless, even after an all-too brief blast up a B-Road, it is impossible not to both appreciate and admire what Honda have achieved here. 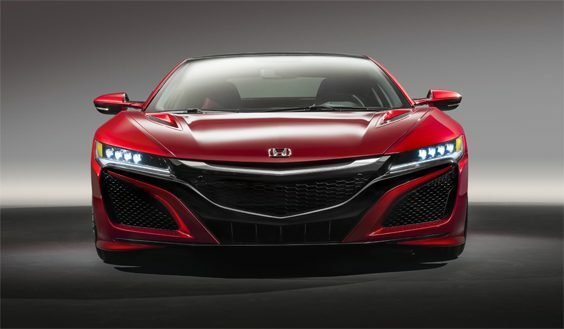 If the NSX represents the future of Hybrid technology, do please count me very much in.